•HDR 10+: Featuring the highest brightness levels of any TV to date, the UE75NU8000TXXU will give an image nearly as detailed as the real world. 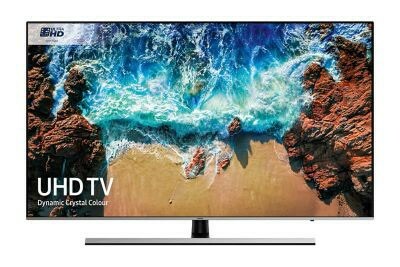 •Dynamic Crystal Colour: Using more than one billion colours, your entertainment will have a stunning, crystal clear quality on this Samsung TV. •Ultra HD Certified: You’ll love the guaranteed 4K quality for colour, brightness and sharpness. Every pixel is analysed to give you breath-taking results.